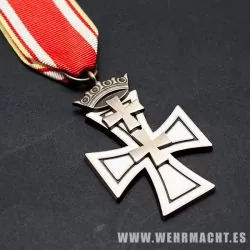 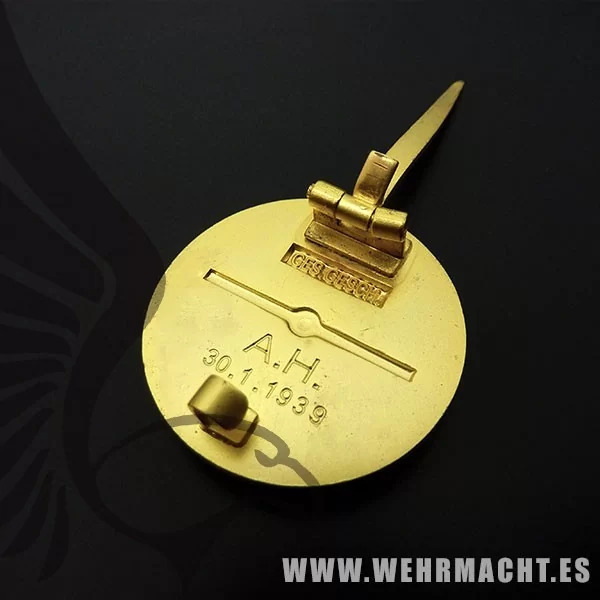 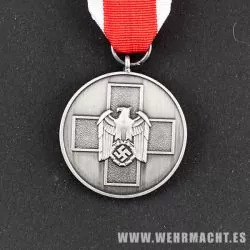 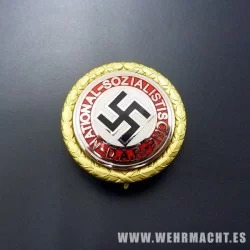 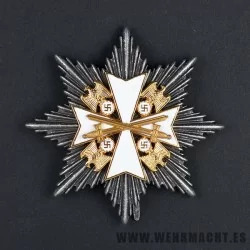 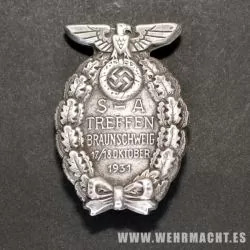 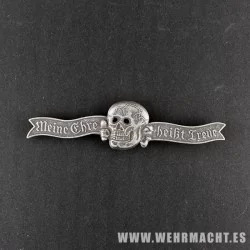 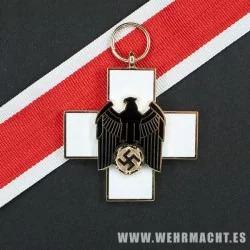 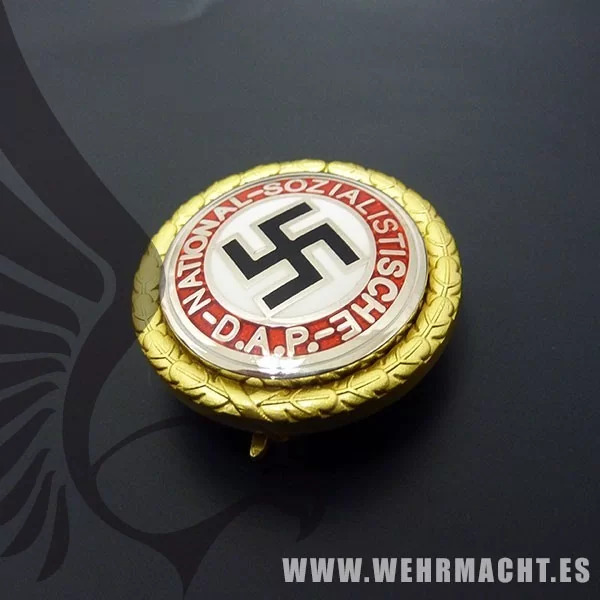 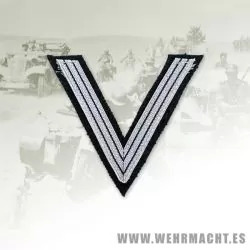 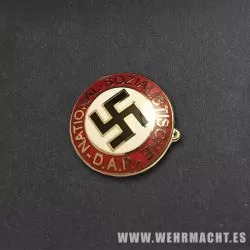 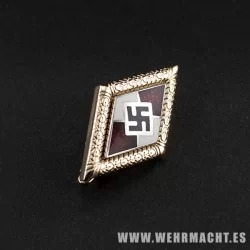 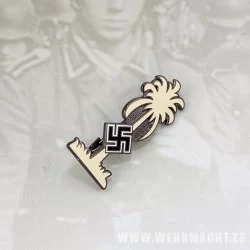 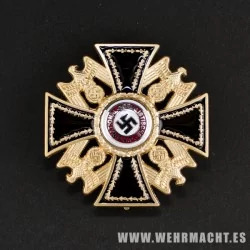 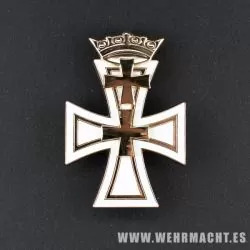 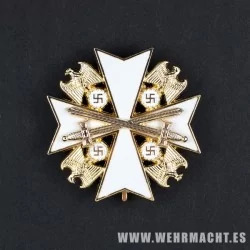 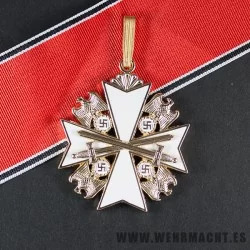 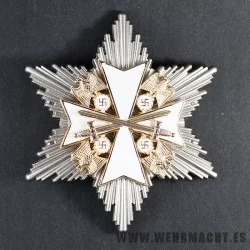 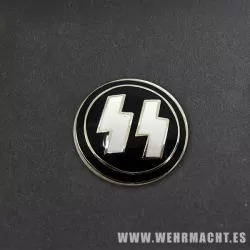 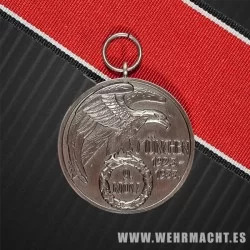 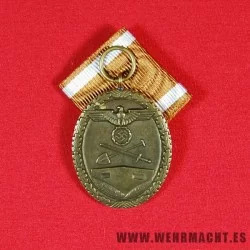 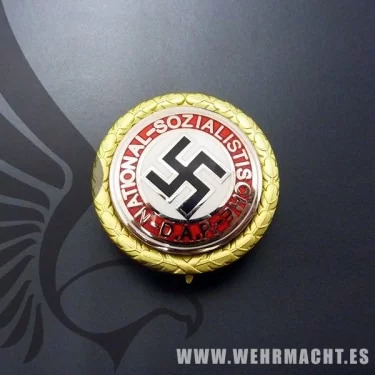 > Germany 1933-1945>German Awards>Political and Civil Awards>The Golden Party Badge of the N.S.D.A.P. 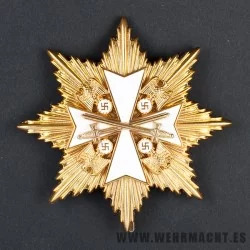 Correct two piece construction with the enameled centre mounted on a gilt wreath. 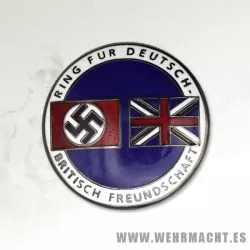 The reverse marked Ges. 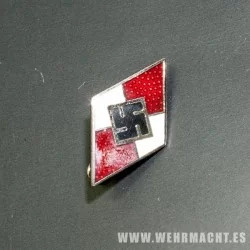 Gesch and also stamped with the issue serial number. 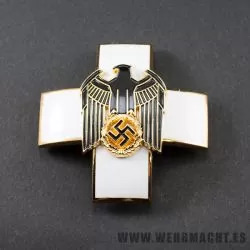 Complete with brooch pin.